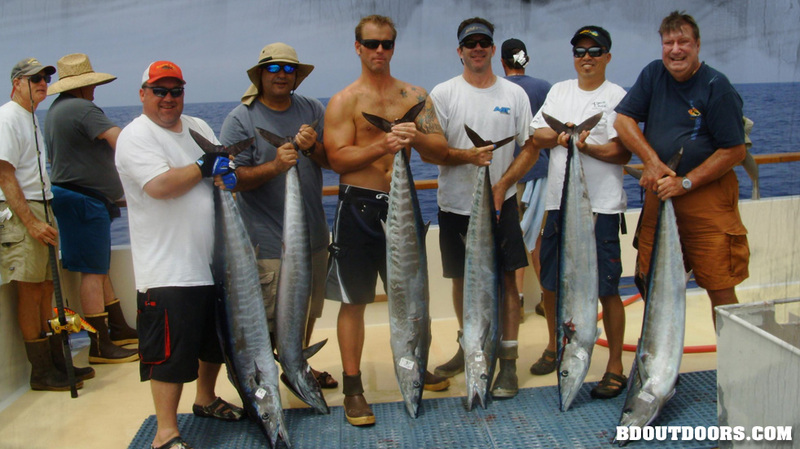 Get in on the big boat action and check out what these single and multi day fishing trips are all about. 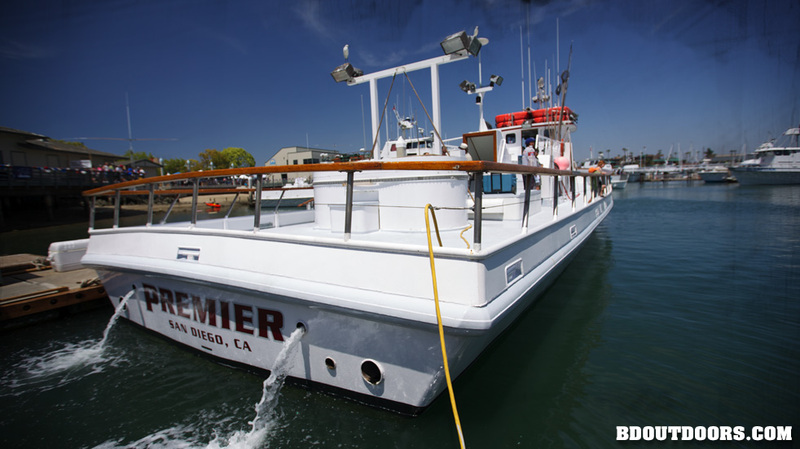 The Point Loma Landings in San Diego are home to one of the most experienced fleets of sport fishing boats in SoCal. 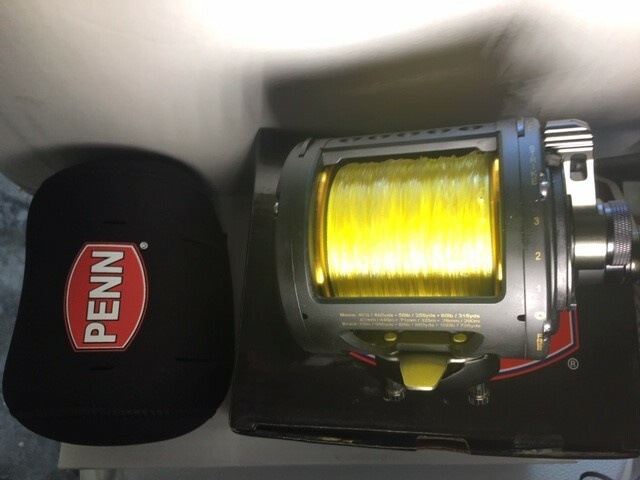 They offer trips of varying lengths to accommodate any angler’s desire. 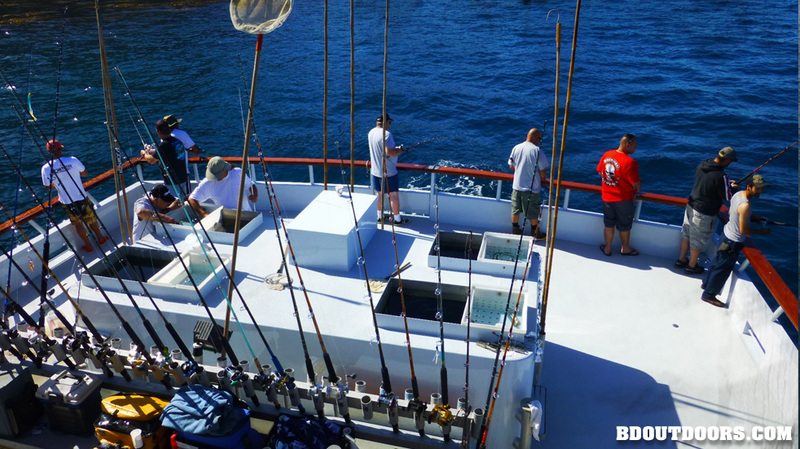 The Sport Boats are standing by to take individuals or groups offshore to experience the thrill of saltwater fishing. 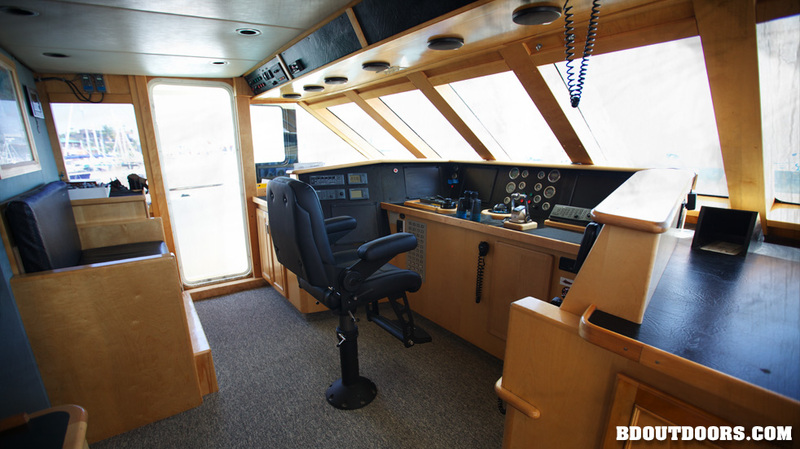 Huge cockpits, lots of rail space and enormous bait receivers are typical characteristics throughout the fleet. 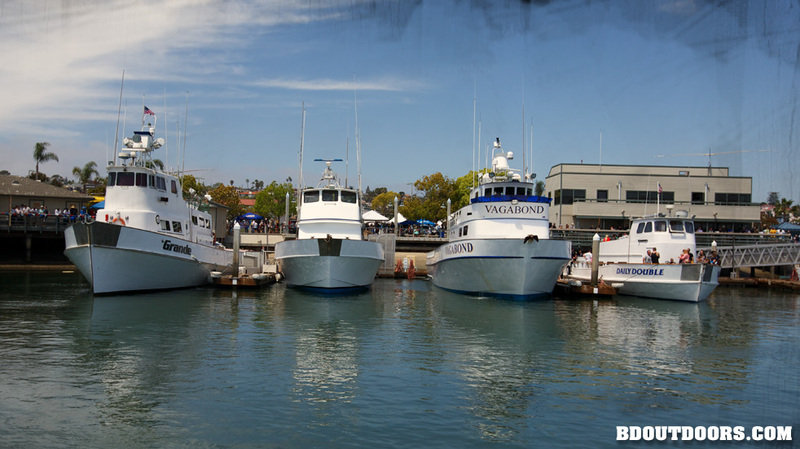 If you really want to tour the boats, San Diego’s annual Day at the Docks event is a great time to walk aboard many of them. 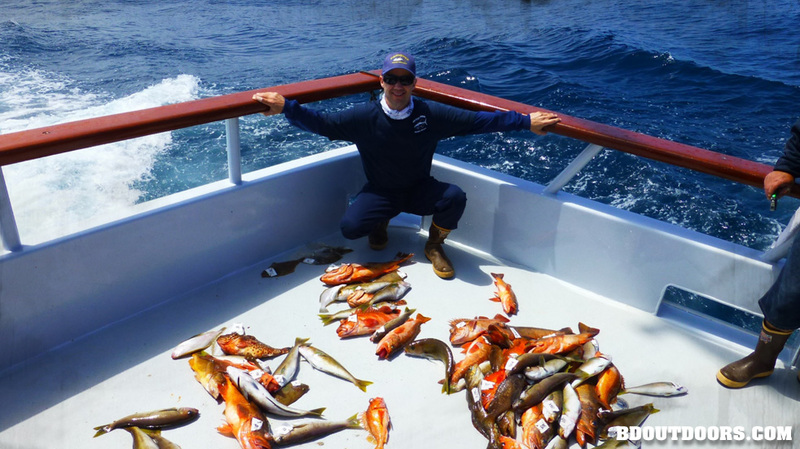 Delicious is the best way to describe a mixed bag of rockfish. 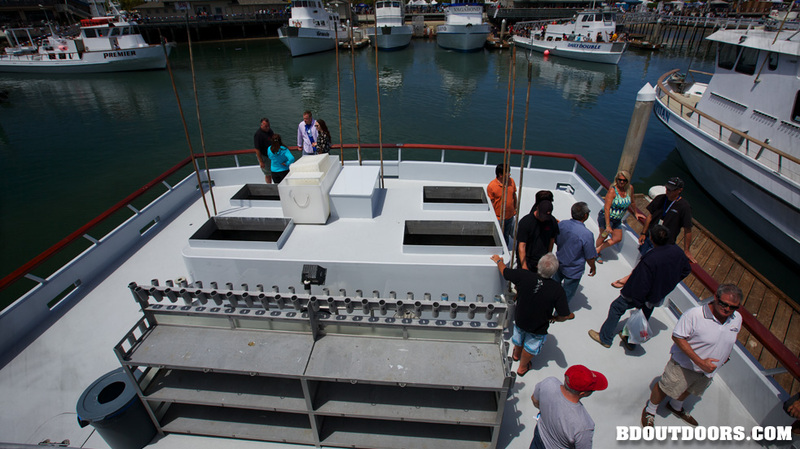 The boats take an amazing amount of live bait from the bait barge and can keep it alive in these huge wells. 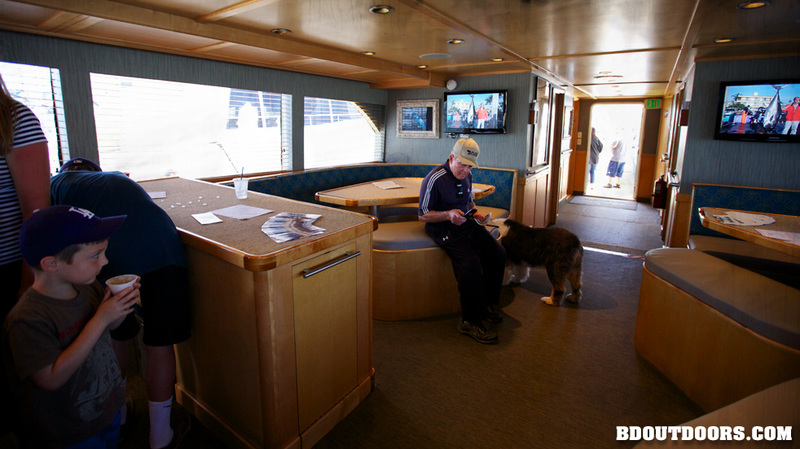 The multi-day boats offer comfortable live-aboard amenities and great food. 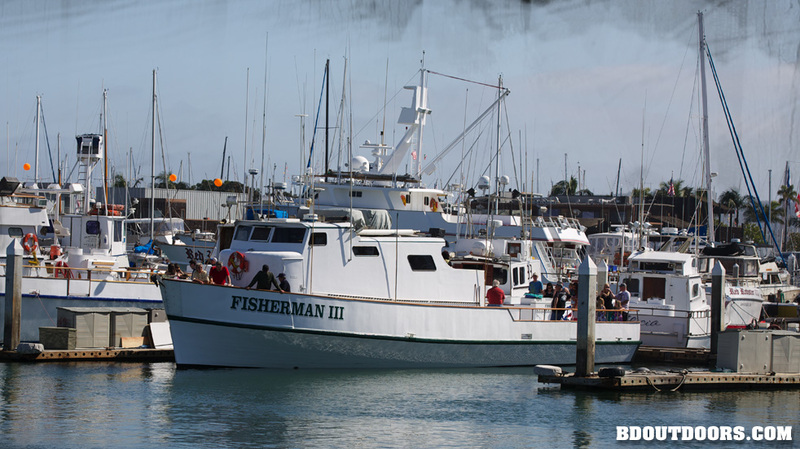 The boats are designed to take a group complete with gear and bait and travel great distances in search of untouched fishing grounds. 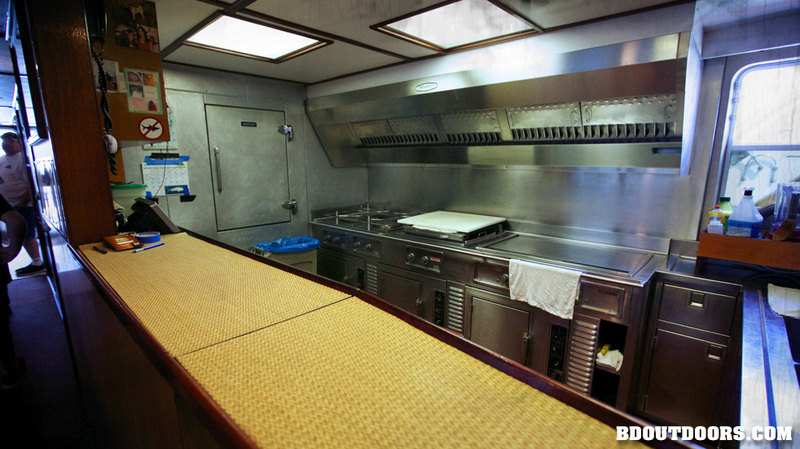 Many of the boats have full time chefs who whip out some amazing on-board meals. 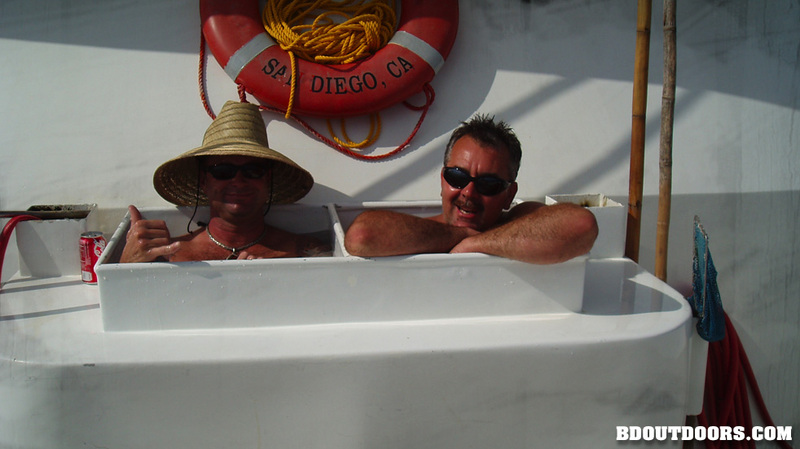 Fresh fish anyone? 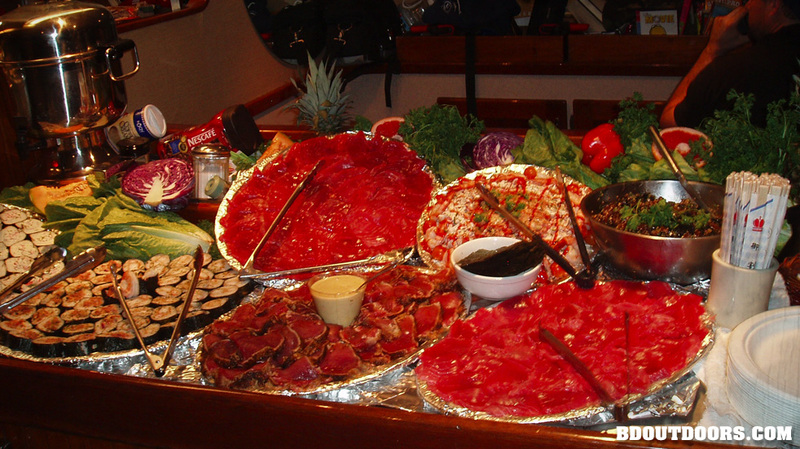 Amazing dishes from the boat’s chef. 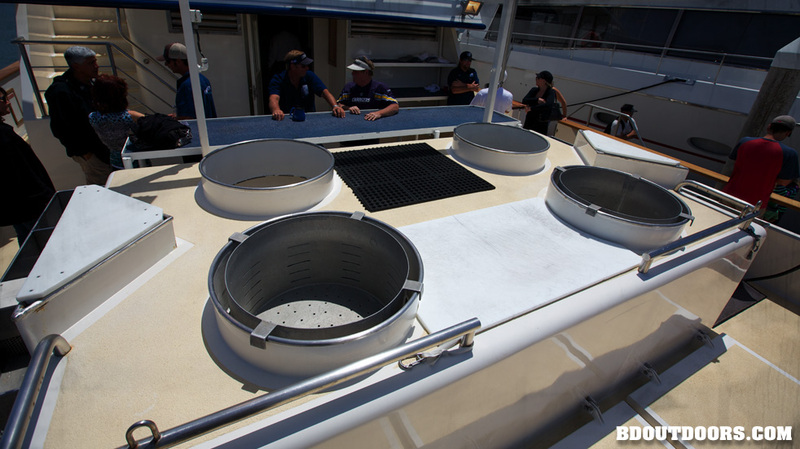 The captain’s use state of the art technology and from the gut intuition to put their parties on fish and keep everyone safe. 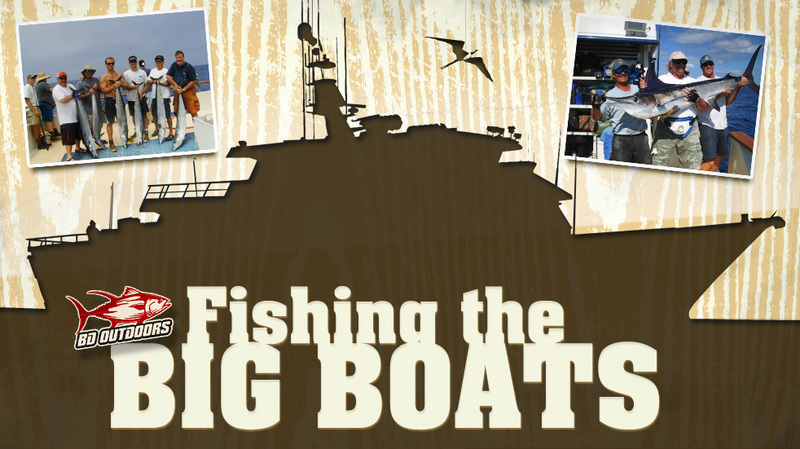 These big boats create a huge, stable platform from which to fish. 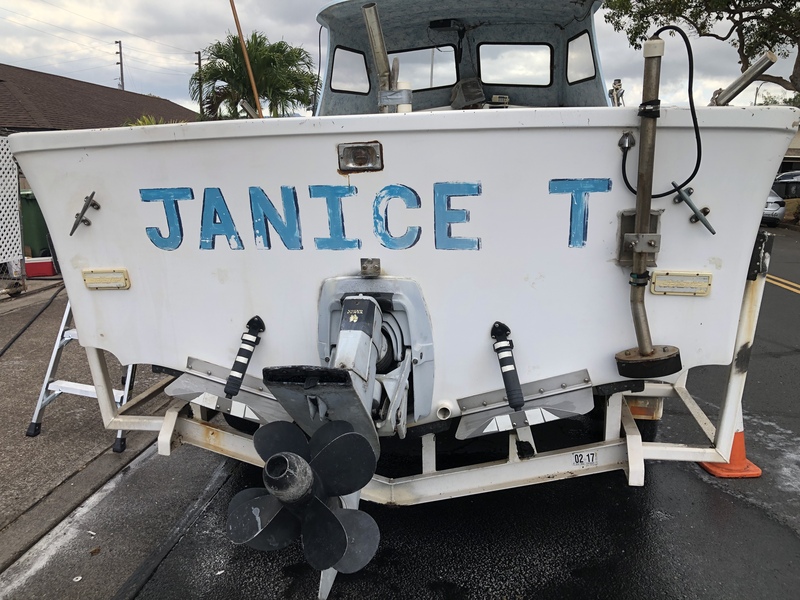 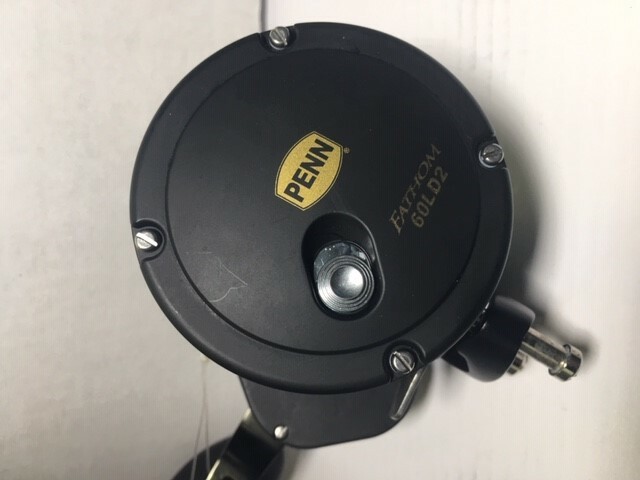 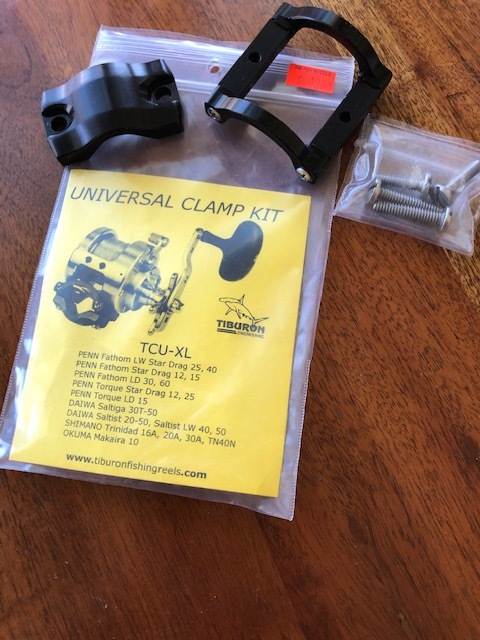 Anglers can retreat to their private staterooms during the travel time or when you just can’t turn the handle another crank. 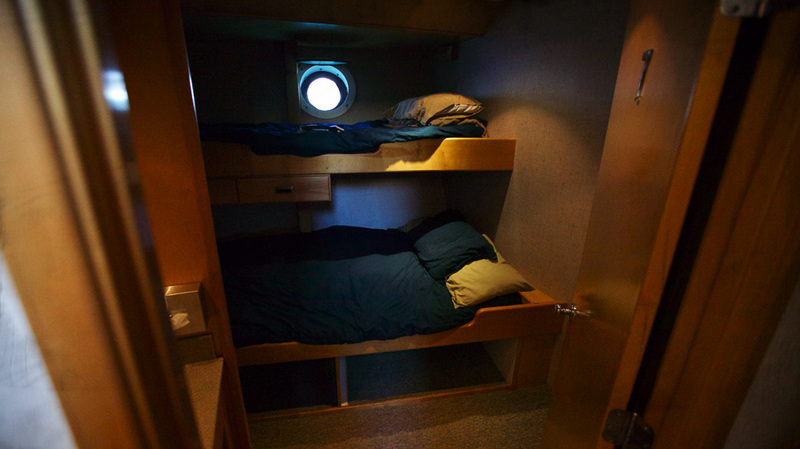 Other boats offer dorm style bunking. 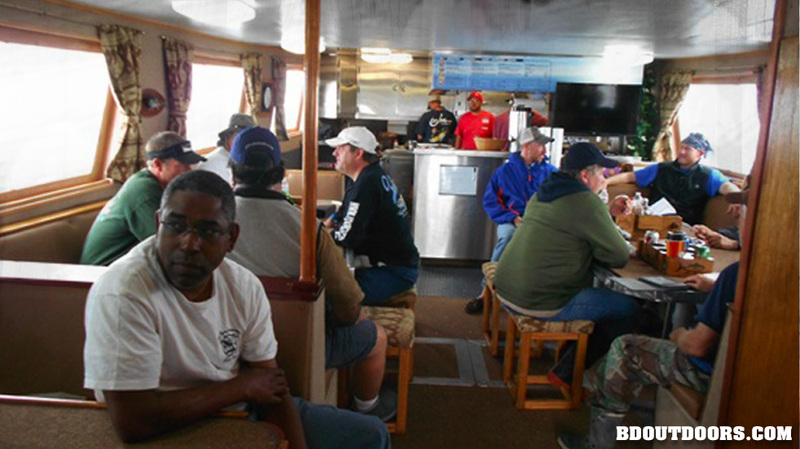 Utilizing the long ride, these anglers prepare their tackle for the frenzy to come. 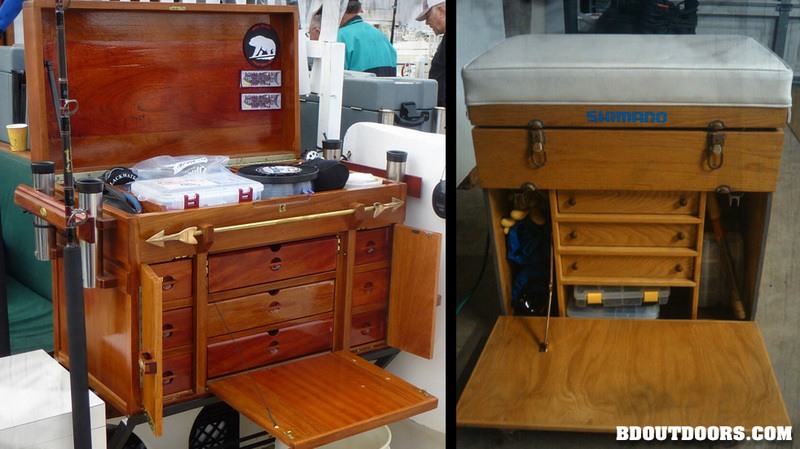 Custom wooden tackle boxes are very nostalgic on the party boat scene. 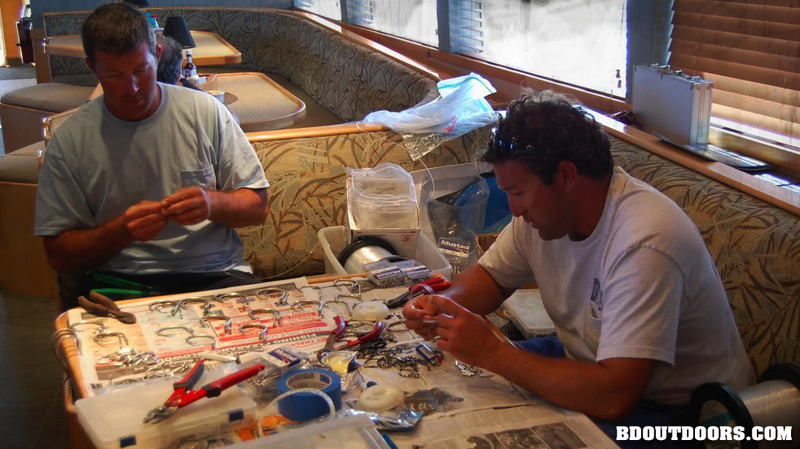 Often serving as the anglers complete tackle station, some of these boxes are amazing displays of craftsmanship. 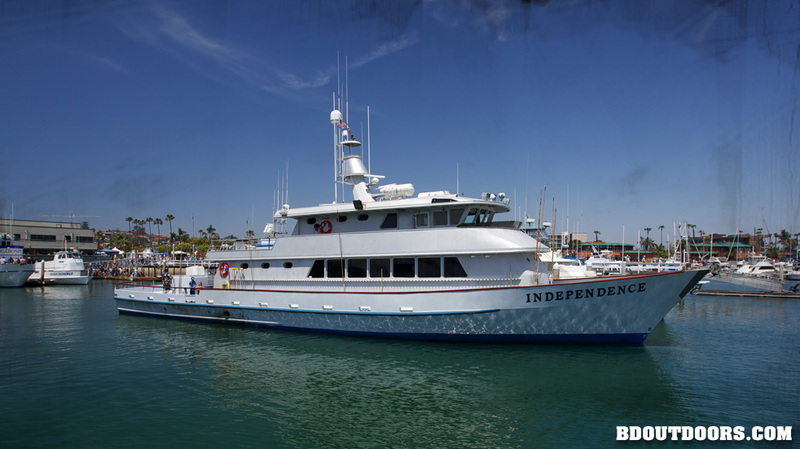 The 112-foot Independence is a modern day sport boat with a 6000-mile range, 700-scoop bait capacity and four extra large fish holds. 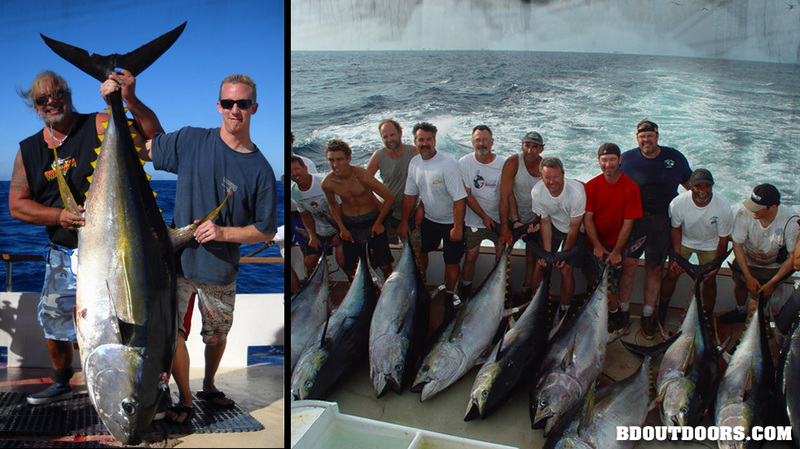 Tuna and dorado are just two species you might catch on a long-range trip. 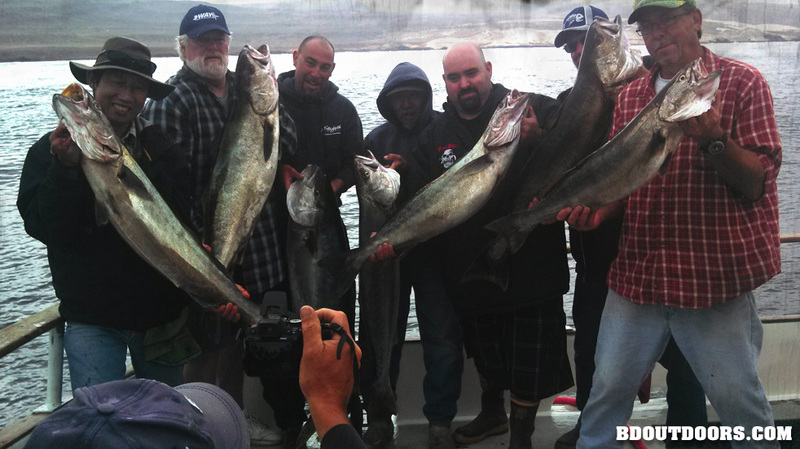 The highly sought after seabass is another fish you might catch. 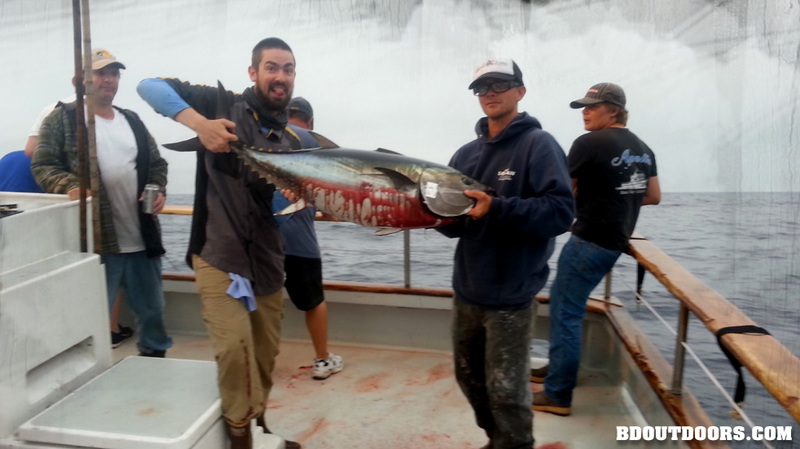 Anglers of all skill levels have a shot at trophy fish like this tuna. 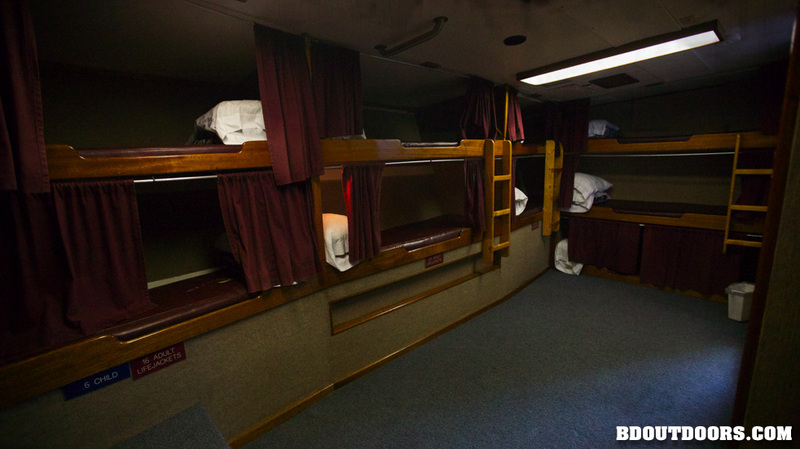 Trips vary in length from day trips, overnighters to two-week adventures. 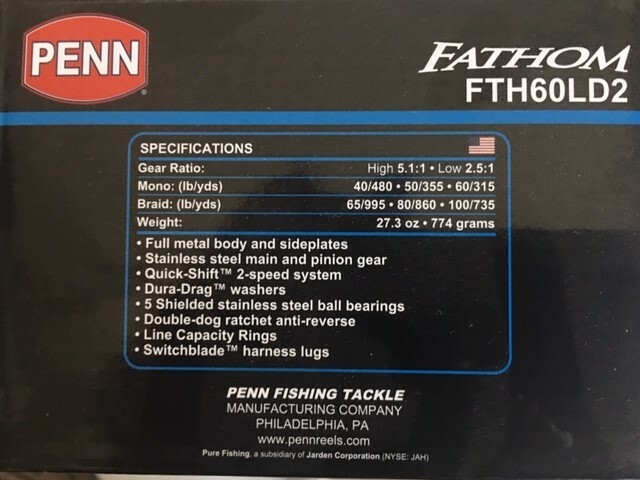 No lies are told here. 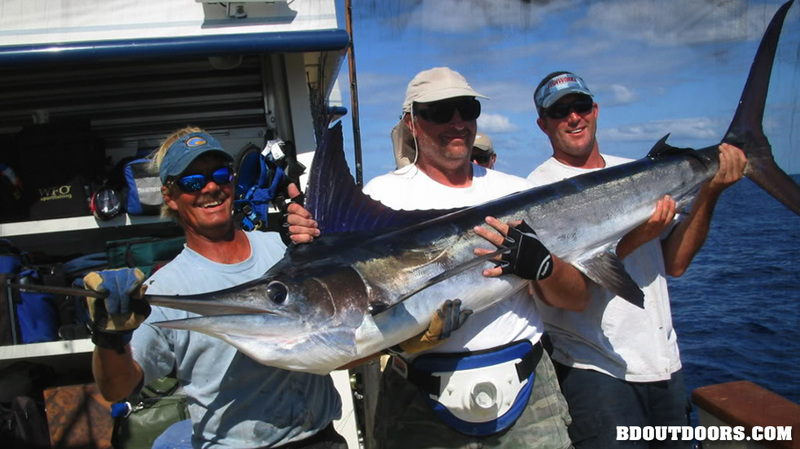 The camaraderie amongst fishermen is part of the fun. 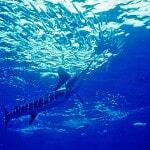 Wahoo, a highly prized game fish, are often one of the options on a long-range trip. 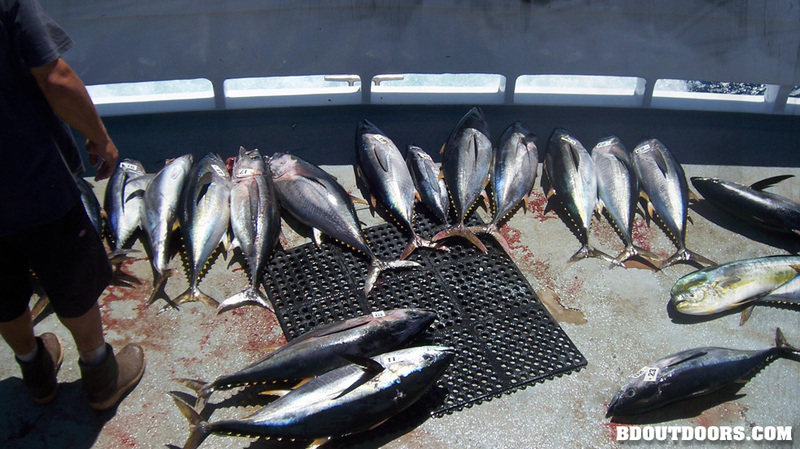 Catching Cow yellowfin tuna is a dream come true for anglers. 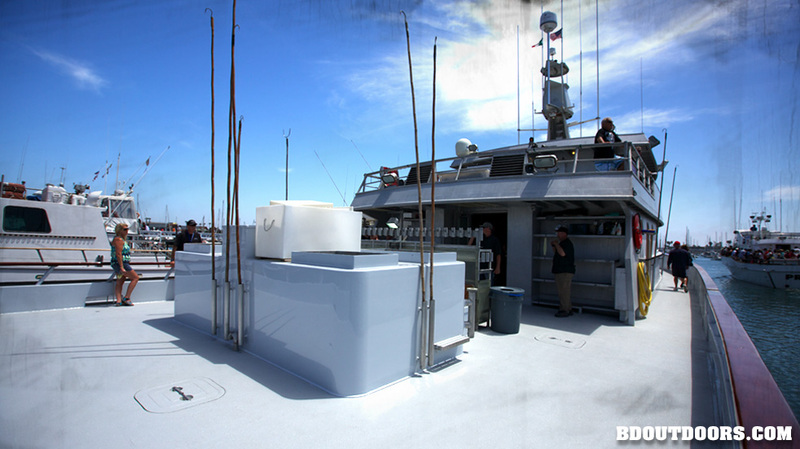 Sport boat anglers have learned to use the rail to their advantage! 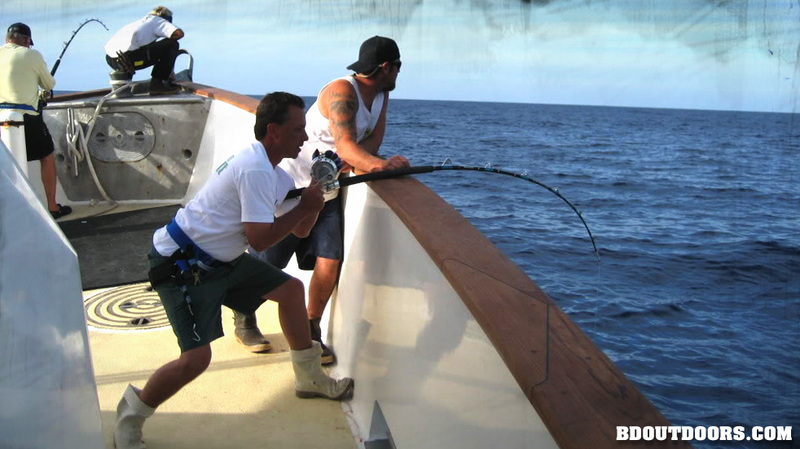 You could even catch a marlin. 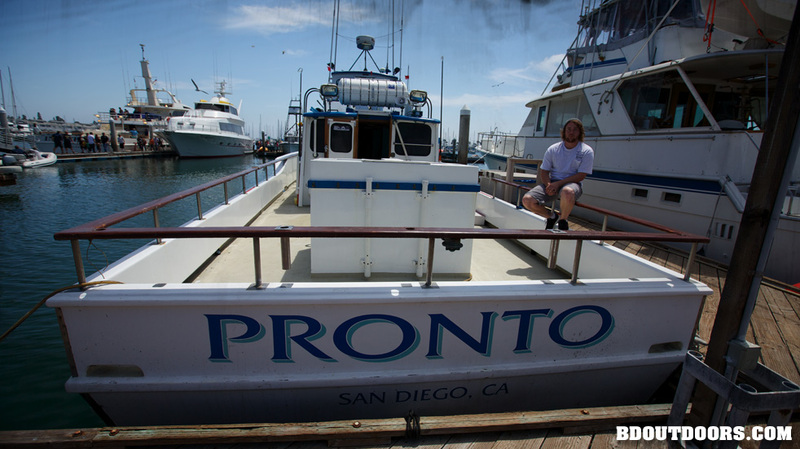 We didn’t ask… but if your itching to get on the water and catch some fish, check out the Point Loma sport boats and join the party! 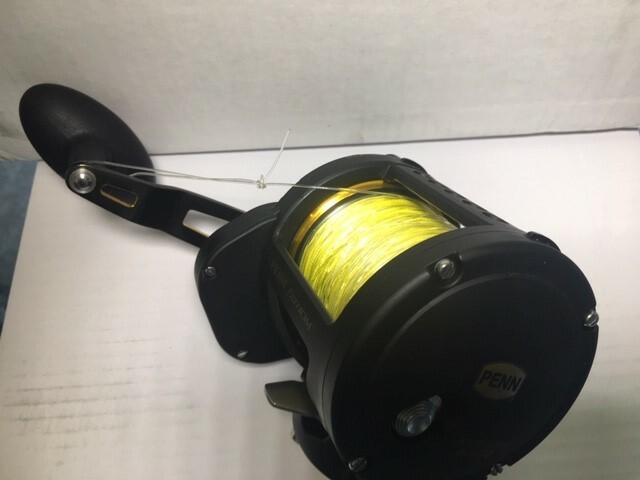 Check out the new Cabo PT by Quantum. 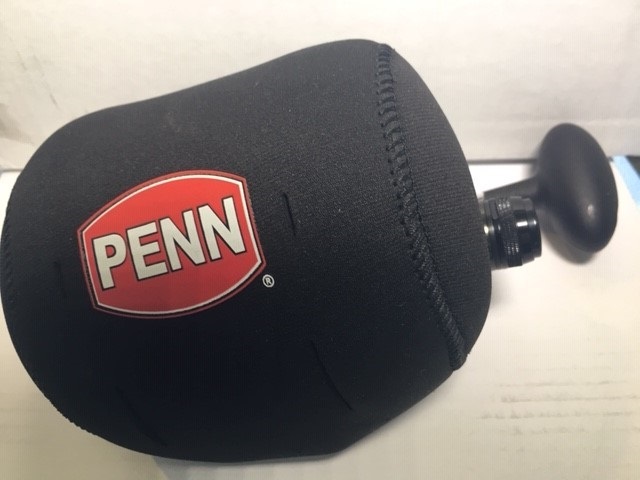 With new sealed drag and aluminum alloy body, its designed to keep braid locked down and keep salt and debris out.